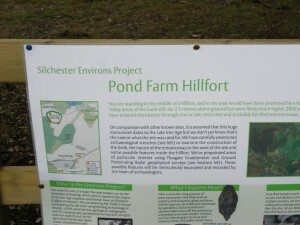 This week I ‘escaped’ from the office for a few hours to visit the Pond Farm excavations (see blog post from the 12th August). Thank you to Cathie Barnett and Nick Pankhurst for giving us a tour of the Pond Farm site. 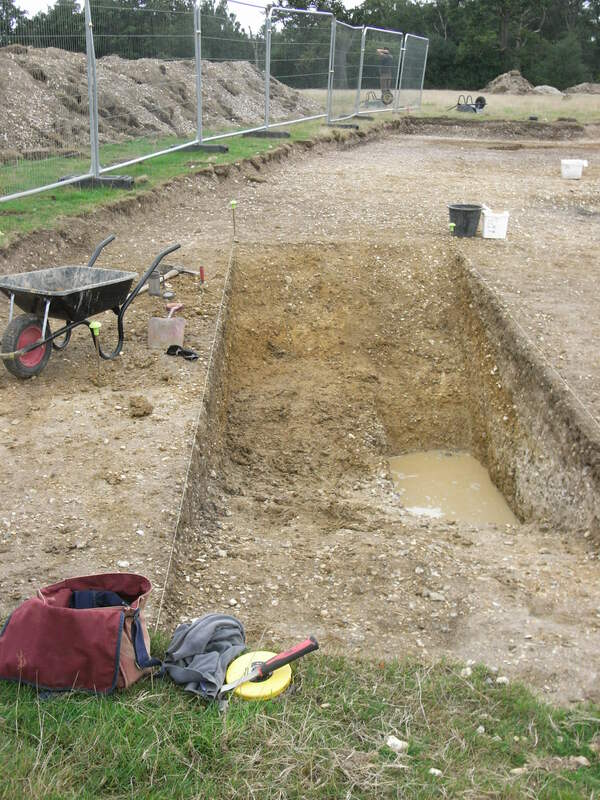 You can keep up to date with progress at Pond Farm and Silchester Insula III by following the Archaeology Facebook and Twitter pages. You can visit both sites from Monday to Friday between 10am and 4.30pm. They are not open weekends except Sunday 13th September. If you intend to come in a larger group please let them know in advance: j.e.eaton@reading.ac.uk so they can welcome and accommodate everyone. Please be aware that parking at Little Heath car park for Pond Farm is severely limited so do share a lift or arrange drop offs there or at Little Cottages. Access to Pond Farm is on foot via permitted paths (shown on the map) by kind permission of the Englefield Estate. 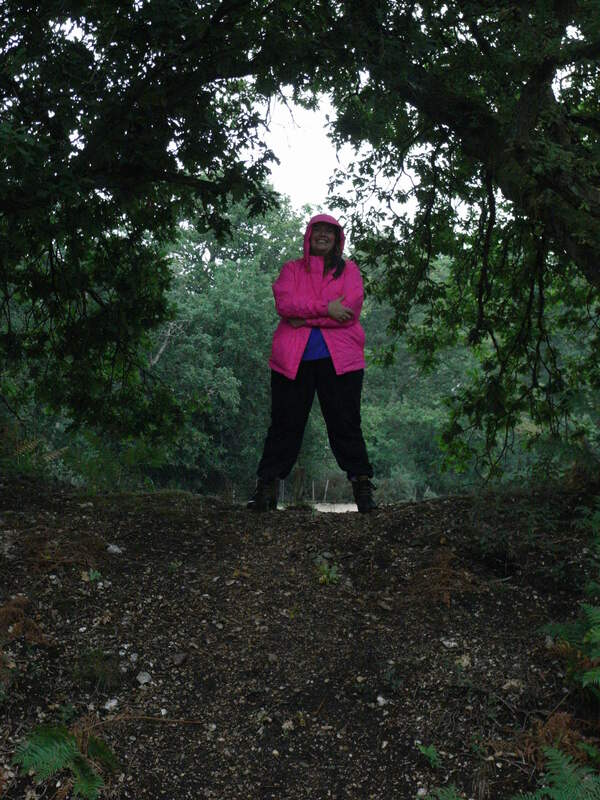 It’s a pleasant and relatively easy, approx 10 minutes walk within Benyon’s Enclosure up to the hillfort but may not be suitable for everyone. Cycling is not allowed. For Silchester Insula III please park in the public car park and follow the footpath to the Roman town and the excavation. For directions to Silchester Roman Town public car park visit: reading.ac.uk/silchester. You will be able to see the archaeologists at work on both sites but there will also be finds and environmental processing going on at Insula III. 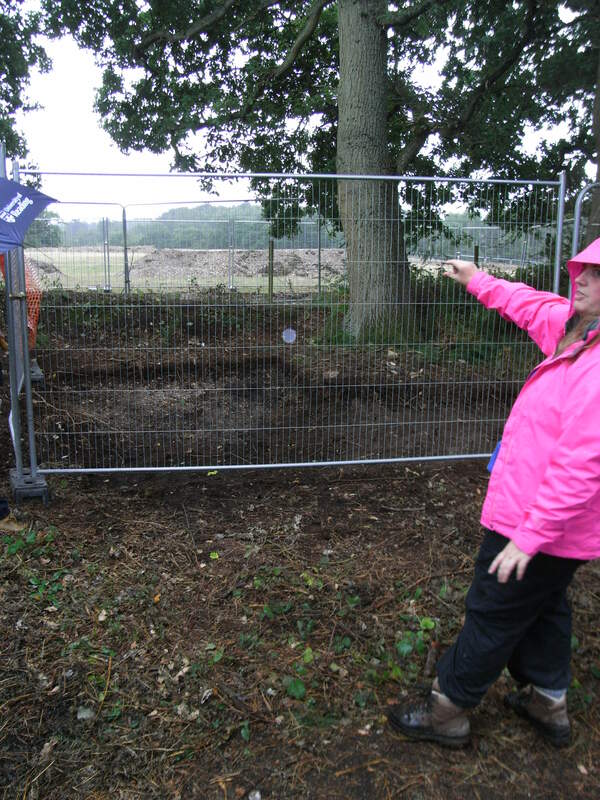 For safety reasons there will be strictly no access to the trenches themselves but you will be able to see them being excavated. 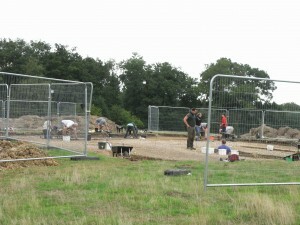 There will also be a Public Open Day at the end of the dig at both excavations, on Sunday Sept 13th 10-4.30pm. 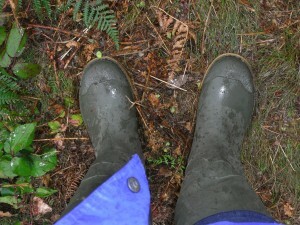 Back in fieldwork clothes and prepared for rain! Entrance to the Pond Farm site – lots of information for visitors. 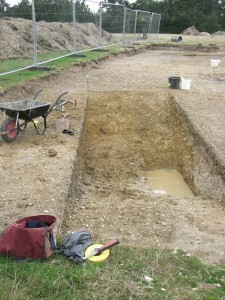 Excavations in action – this is before the rain started! Quest (Dan and Rob) percussion coring in a reed covered (wetter), approximately circular area towards the boundary of the field. 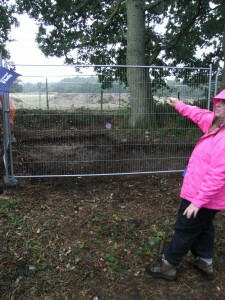 Cathie explaining the next stage of excavations in this area – this could be the most exciting area yet! WHO CAN VISIT AND WHAT IS THERE TO SEE? My Fieldwork Experiences: From Reading to Reading. My current position in the Archaeology Department involves being largely chained to a desk. 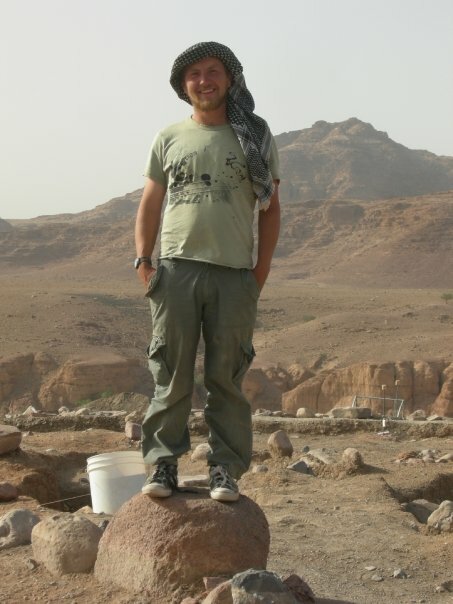 However, in the preceding 12 years fieldwork was a daily reality for me as I worked for Commercial archaeological companies. I hope to outline some of the fieldwork experiences I have had below without it reading too much like a personal statement for a job application. 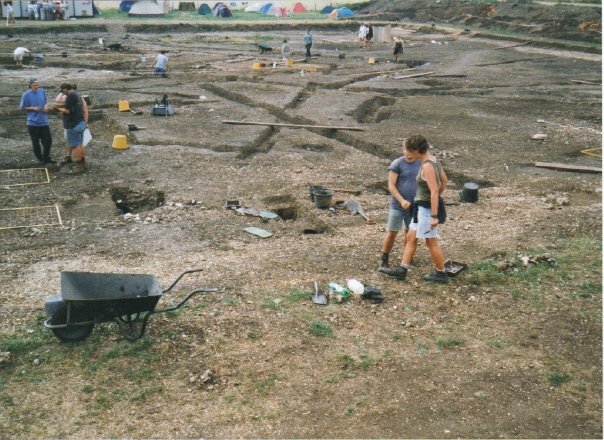 Like so many archaeologists plying their trade today, my first real experience of fieldwork was a training season at the Silchester Town Life Project in the summer of 1999. 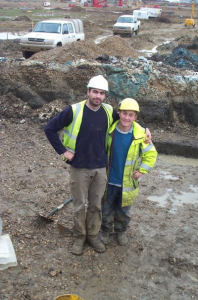 I had archaeology A-level and had carried out a couple of weeks digging at Colchester in 1997 so was not entirely new to the trowel, yet the 4 weeks spent in that field in Hampshire cemented in my mind that digging holes was something I was always going to do. On completing my undergraduate degree I began working with Oxford Archaeology, a company I was to work with for a further six years. It was with OA that I worked on a number of infrastructure projects such as the Channel tunnel rail link in Kent and the expansion of Heathrow with the construction of Terminal five. Pete and me at Terminal Five……It was this nice. Projects on the scale of an airport expansion can make you feel like a pretty small cog, with the huge amounts of machinery, noise and not to mention aircraft. It was also sometimes difficult to focus on the Bronze Age ditch I was digging when Concorde was taking off in the background. Every time I fly from Heathrow I reminisce about several of my trowels that lie forever buried beneath the concourse…. After seven or so years of commercial archaeology I realised that I should probably attempt working somewhere more exotic that required less high visibility clothing. The opportunity presented itself with the WF16 project at the magnificent Wadi Faynan in the Jordanian desert. Standing on a high rock on the site at WF16 in Jordan. I was prepared as well as I could be with sun cream, mosquito repellent and multiple jabs, yet nothing could have prepared me for the incredible landscape and archaeology I was to experience. Excavating 10,000 year old mud walled structures surrounded by mountains, Bedouin tents and many, many goats was far removed from the world of commercial archaeology I’d temporarily left behind. 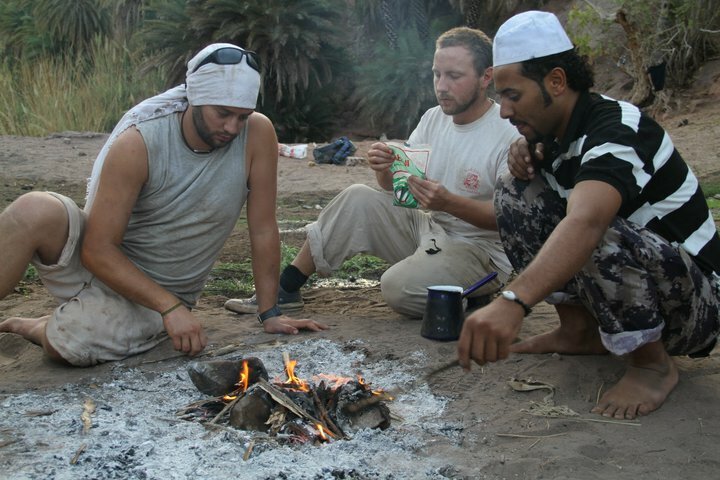 It was an equally eye opening experience getting to know the local Bedouin workmen. Watching the moon rise over Wadi Ghuwayr while drinking tea with Ali and Abdullah is something I won’t forget in a hurry. Over the next few years I participated in a project in Crete excavating a Late Minoan mountain top settlement at Karfi, a few weeks digging a Roman iron working site Austria and a five weeks of hellish northern French winter excavating an Iron Age settlement in Brittany. Subsequently I’ve also been involved with the Hebridean projects co-ordinated by Professor Steve Mithen, working on Islay, Mull and Gigha. 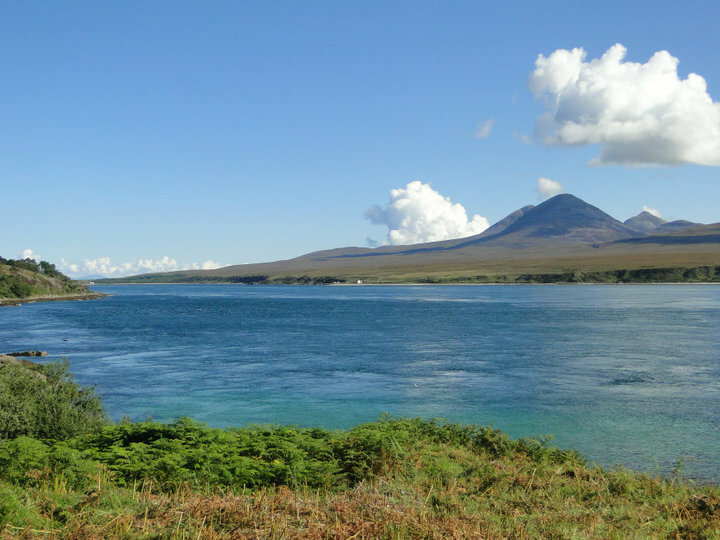 The Mesolithic site at Rubha Port an t-Seilich on Islay, overlooking the sound to Jura is probably the most beautiful place I’ve ever been let alone worked. 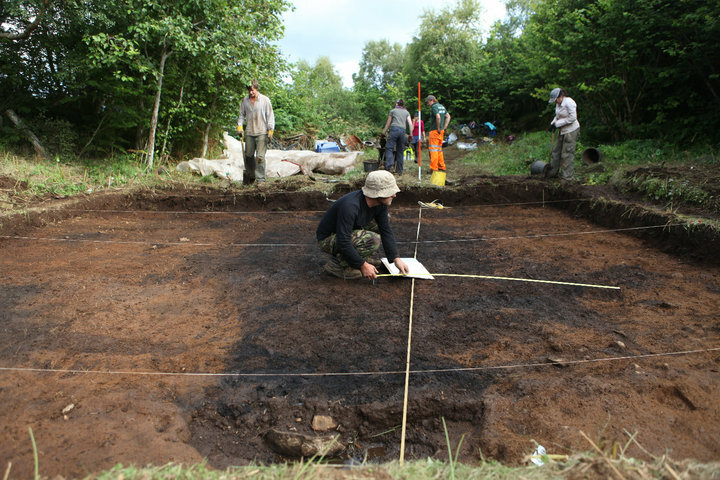 Recording Mesolithic occupation on Mull. The view from the site on Islay over to Jura. Returning to the less glamourous world of commercial archaeology, the most challenging fieldwork project I co-ordinated was for the widening of the A11 in Suffolk. This was composed of numerous sites extending over 11km and was subject to strict deadlines. Despite the regularly stressful day to day of such a project I really enjoyed working with a talented team of archaeologists and responding to the often leftfield demands of the construction managers. Could I just move everyone from the carefully timetabled excavation areas to dig the bit they want to stick an oversized newt tunnel through….of course I can. 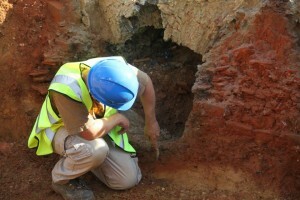 Excavating a late Medieval tile kiln in Hertfordshire. During my commercial career, Silchester was a permanent summer fixture (to the possible annoyance of my employers). Over the fifteen seasons I attended, supervised and finally co-ordinated I had the hugely rewarding task of teaching students and volunteers the techniques of excavation and recording. Witnessing people who were so shy they could barely speak develop confidence over a few weeks to work as part of the team was always amazing as was witnessing students eventually returning as staff member and passing on their learning. Seeing the trench I cumulatively spent the best part of two years in backfilled last summer was a very strange experience. And now I find myself back in the Archaeology department working for the very project that kick started the whole process. 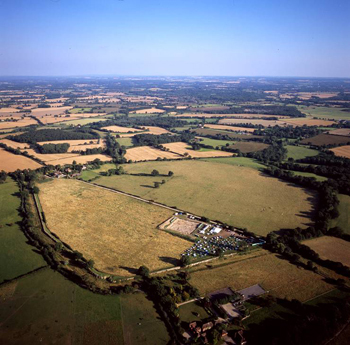 In a few months I embark on a new phase of excavation at Pond farm, just outside Silchester and with knowledge of what’s gone before await the trials, tribulations and (fingers crossed) excitements to come. 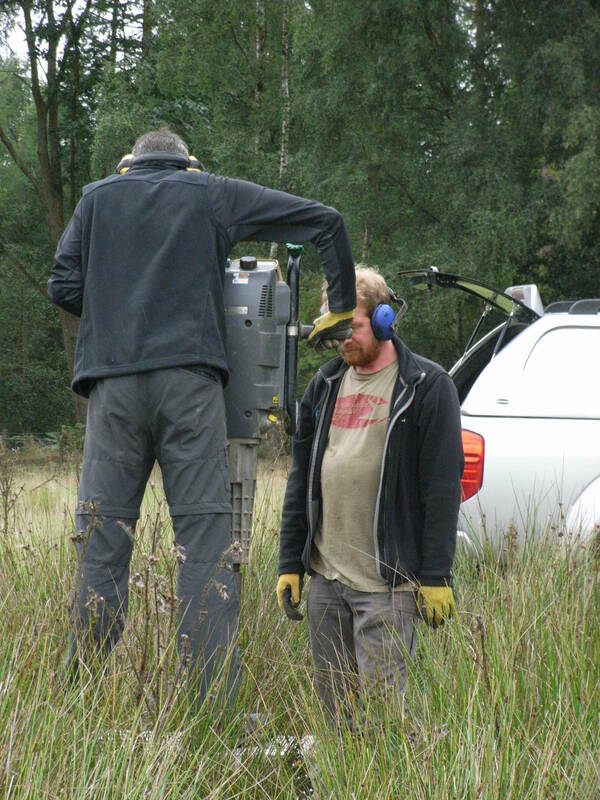 Nick works as Project Assistant for Silchester Town Life project, combining overall site supervision for the field school and post-excavation analysis of the late Iron Age and Early Roman stratigraphy. He has participated in the field school since his first year as a Reading undergraduate in 1999 and as staff member since 2001. 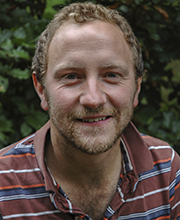 Prior to his current role, Nick worked for 12 years with commercial archaeological units in Oxford and Cambridge. During this time he co-ordinated numerous rural and urban excavations including projects such as Heathrow Terminal 5, the A11 widening in Suffolk and in Winchester, Cirencester and Oxford. 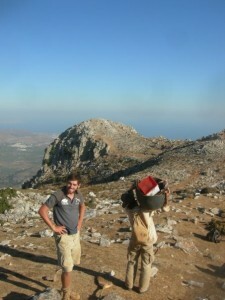 He has also supervised on research projects in Jordan, Crete and Austria and worked on excavations in the Hebrides and northern France.